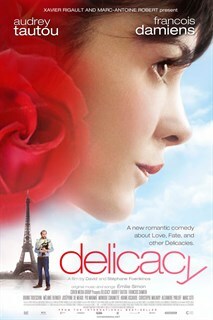 Audrey Tautou is Nathalie, a beautiful, happy and successful Parisian business executive who finds herself suddenly widowed after a three-year marriage to her soul mate. To cope with her loss, she buries herself and her emotions in her work to the dismay of her friends, family and co-workers. One day, inexplicably, her zest for life and love is rekindled by a most unlikely source, her seemingly unexceptional, gauche, and average looking office subordinate, Markus, (French comic star Francois Damiens, Heartbreaker). At first stunned by Nathalies’s unexpected attention, Markus comes to gradually believe in her feelings and shifts into romantic high gear. As their relationship goes from awkward to genuinely loving, Nathalie and Markus will have to overcome a host of obstacles including everyone else’s judgmental perceptions as well as their own self-doubts.